WILD TIMES: Tonight marks the fourth and final meeting with the Wild this season, and the second of two scheduled visits to Iowa’s Wells Fargo Arena. 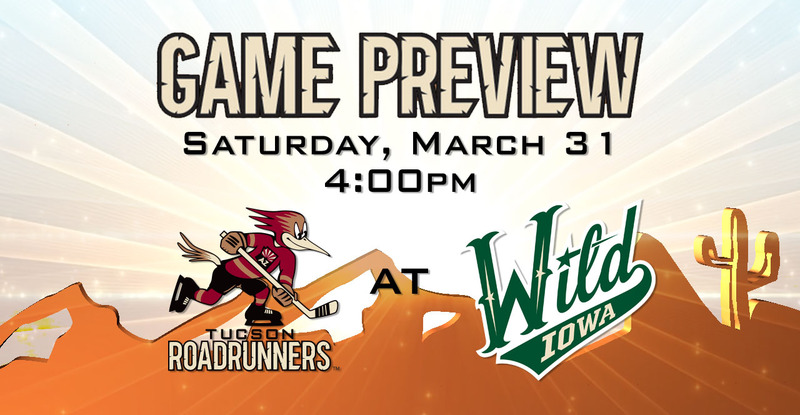 The Roadrunners are playing the final of a four-game road trip; the Wild are playing the second of a four-game home stand. Both teams are coming off of a meeting Friday night in which the Roadrunners won, 6-4. 20 GOING ON 40: With two goals scored Friday night, Michael Bunting now has 20 on the season, continuing to obliterate his scoring totals from the first two years of his professional hockey career. He is the third player on the roster to reach the 20-goal mark this season - behind only Dylan Strome (22) and Mike Sislo (23). Bunting enters the evening with 39 points (20G, 19A) on the year, and has hit the score sheet in six of the team’s last eight games. PROJECTED LINEUP: The team held an optional morning skate at Wells Fargo Arena ahead of tonight’s game. Per club policy, specifics regarding the team’s lineup will not be published until 1:00 PM this afternoon. A GOOD RUN: Tonight’s game marks the final of such against a Central Division opponent this season. The Roadrunners have come away with points in all but two of the games they’ve played from that grouping, posting an 8-2-3-0 record – including a 3-0-0-0 mark against Iowa. FROM THE POINT: To further add to the team’s balanced scoring from its four lines of offense has come a helping hand of production from the defense. Dakota Mermis has assists in eight of the team’s last 12 games. Joel Hanley has two goals in four games, and Kyle Capobianco has pitched in with a pair of assists in four games back from injury. Kyle Wood put forth his third multi-point performance of the season Friday, which included his netting of the game-winning goal. 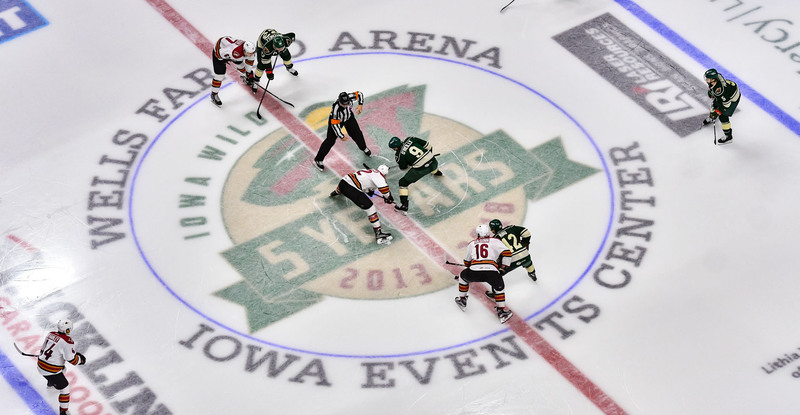 THE LAST TIME AROUND: In the teams’ previous meeting on Friday night at Iowa’s Wells Fargo Arena, the Roadrunners topped the Wild in a high-scoring affair, winning by a 6-4 count. Tucson scored three goals in a 3:47 span in the opening frame. Michael Bunting (2G), Kyle Wood, (1G, 1A), and Lawson Crouse (1G, 1A) each finished the night with two points. Hunter Miska came in for relief of Adin Hill to begin the third period and earned the win – he stopped all 15 shots he faced. A MAGNIFICENT MARCH: The Roadrunners have earned points in 10 of the 12 games they’ve played during the month of March, posting an 8-2-2-0 record. Can they finish off the month with another win tonight? WE’RE DOING IT LIVE: You can catch tonight’s action on AHL Live. Roadrunners play-by-play broadcaster Tom Callahan will have the radio call on AM 1450 Fox Sports Tucson. Radio coverage begins at 3:45 PM.